Jordan Spieth tees off during the second round of the 2019 AT&T Pebble Beach Pro-Am. 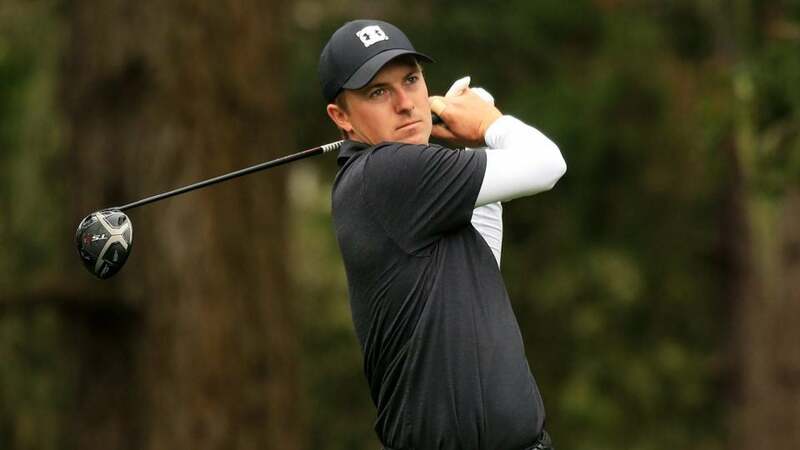 It’s been an exciting week at the 2019 AT&T Pebble Beach Pro-Am, with stars like Phil Mickelson and Jordan Spieth battling for the lead over the first three rounds. You can find the final round tee times for Sunday below. Speaking of Mickelson, the five-time major champion is having another hot week. Phil went 65-68 on Thursday and Friday to tie for the lead through 36 holes. He shot a 70 on Saturday and will begin the final round three shots off the lead. Mickelson’s playing partner in the final group will be leader Paul Casey, who has a seen a career resurgence of late. He won the 2018 Valspar Championship and played for the victorious European Ryder Cup team in the fall. He could back that performance up with another victory at Pebble. Unfortunately for fans at Pebble, Hosung Choi will likely be heading home on Sunday after thrilling the galleries throughout the week. Check out the full list of final round tee times for the 2019 AT&T Pebble Beach Pro-Am below.